Rega Fono MM MK3 review | What Hi-Fi? Rega has managed to take a near-perfect product and squeeze yet more improvements from it. The MK3 is virtually flawless. There is always room for improvement; though sometimes that margin is so fractional it can be difficult to comprehend just how. Take the Rega Fono MM as an example of such a conundrum. Since the MK2 version received a What Hi-Fi? Award it has had plenty of competition, but none sufficient to relieve it of its crown. Even now, that incarnation remains one of the finest phono stages available for the money. 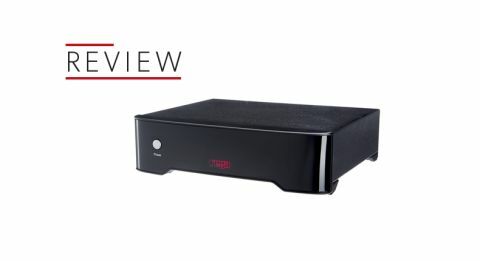 Yet Rega has decided to release a third generation of its phono amplifier for moving magnet cartridges, and has also managed to wring out another few drops of performance from an already superlative product. The main motivation appears to have been aesthetic, to bring the Fono MM’s design into line with its moving coil stable mate. It would be difficult to exaggerate just what a difference those kind of alterations to an amplifier’s chassis, regardless of incentive, can make to the eventual performance. Inside, though, modifications are minimal, Rega wisely taking an “If it ain’t broke…” approach, and making only minor tweaks to the board in order to reduce noise levels. Given our only minor qualm with its predecessor was that some competitors offered a little more in the way of absolute detail – though none performing so charmingly across the board – in theory, the Fono MM has now boarded up the only remaining possible weakness in the defence of its title. The MK3 is certainly noticeably sleeker than its nearest ancestor, but the genius in its simplicity remains. There is just one button, for power, and to its rear one set of phono inputs with earthing peg and the AC socket. It is worth noting that Rega advises you only to use the Fono MM MK3 with its supplied PS1 mains plug - a replacement will set you back around £20. Placing the Fono MM MK3 between a Clearaudio Concept deck and our reference amplifier, we play Frightened Rabbit’s Painting Of A Panic Attack, and our testing could have been over before the closing bars of the opening track. Rega has once again succeeded in all it set out to do. That Award-winning sound of the MK2 oozes through our speakers, yet with the lowered noise floor offering more clarity and expanding the horizons of its dynamic range. We could have stopped there, taken it to the photography studio and written this review. But why would we when we could continue to bask in its bold, powerful strokes, tempered by that confident yet delicate handling of timing and dynamics Rega has for so long mastered in its turntables and amplifiers. A wide-open soundstage has been another of the company’s trademarks over recent years, and again you might need binoculars to search for its boundaries. Texturally sparse arrangements such as The Wreck benefit immensely from the space offered to each line, allowing a sea of reverb to lap against the shore, while a taut but generous serving of bottom end offers solidity to Scott Hutchison’s vocal even in falsetto. Meanwhile more energetic offerings are dealt with that similarly trademark Rega punch and enthusiasm, showing off a fine sense of rhythm and a confidence to be precise but non-regimental, letting dynamics drive the percussion as much as having a firm grip on timing. Difficult as it was to see just how Rega could eke out more from the Fono MM, with the MK3, it has essentially succeeded. It’s just like the MK2, only with less noise to disturb its class-leading performance.